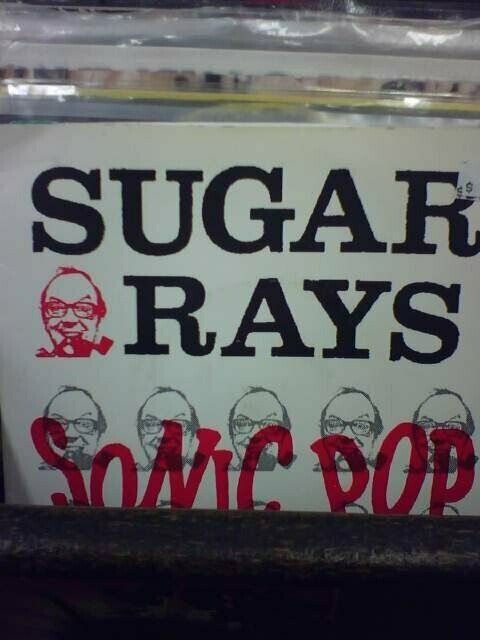 Spotted in Bleecker Bob’s was this EP by the Sugar Rays which features a lovely design of Eric Morecambe‘s iconic face. It does not seem to have helped them succeed: perhaps the existence of the more popular later band Sugar Ray created difficulties. Who can say? Next Post Join the Cult of Kaity! Yeah, Kim's got raided and closed down. We miss it. We got some great, hard-to-find videos there! I knew they got raided, but they didn't close right away, I guess. I suppose web sites can offer a lot of what they did, but I miss browsing.